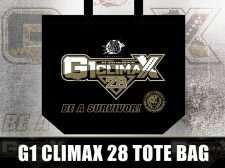 New Merchandise line up for the G1 Climax! Special offer at the online NJPW Tokon Shop! 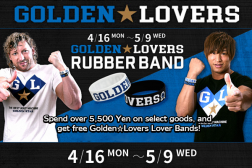 Spend over 5,500 Yen on select goods, and get free Golden☆Lovers Lover Bands! All-new goods celebrating Fantastica Mania 2018 & more! Order Now at NJPW Tokon Shop!! All-new Wrestle Kindgom 12 merch is here! 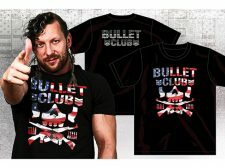 Get ready for the biggest event of the year with awesome new shirts, hoodies and more from your favorite NJPW stars! 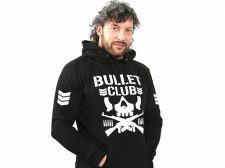 Perfect for the winter season: All-new hoodies from Roppongi 3K, Bullet Club and more! New and on sale now! Merch from Tanahashi, CHAOS, Taguchi Japan & more! Order online now at the Tokon Shop! 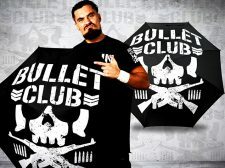 The Villain’s umbrella! Shibata hoodies! 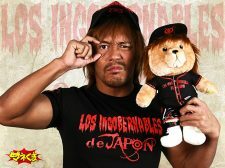 LIJ Tokyo Dome match tote bag & more! Brand new exclusive items at NJPW’s Tokon Shop. Int’l orders accepted!